Countless individuals and families have emigrated from all over the world to start new lives in America. A large number of immigrants began their journeys in New York City. Our five boroughs remain home to significant numbers of immigrants. Of course, immigrants are not immune to brushes with the law. In many cases, the immigration consequences of a crime, such as removal proceedings and deportation, are far more important than the criminal consequences. 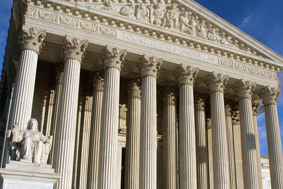 A recent Supreme Court case held that criminal defense attorneys have the duty to inform clients of any negative immigration consequences of a criminal conviction. Before this ruling, it was all too common for lawful permanent residents of the United States, undocumented workers, or people who have overstayed their visa to plead guilty to a crime without fully understanding the immigration consequences. If you are an immigrant and want to understand the implications of a criminal conviction, it is important to work with experienced legal counsel who can work through the various strategies in your case. We are the law firm of Goldberg & Allen. Our partners, Gerald Allen and Jay Goldberg, each offer more than a quarter century of legal experience. Aggravated felonies. The term “aggravated felony,” under federal immigration law, includes a large number of crimes, some of which are actually classified as misdemeanors under applicable state law. If your immigration status is in question, our law firm will give you concrete, useful advice as to both the immigration and criminal consequences of a guilty plea. Further, we will make the strongest possible defense against the underlying criminal charges. Our experienced criminal defense lawyers can defend you against any criminal charge, and inform you about the immigration consequences of a criminal conviction. To get started, call us at 212-766-3366 or contact us online.